Dr. Doni Wilson discusses toxins and harmful metals, 7 tips for avoiding them, and how they affect methylation and MTHFR mutations. In my previous article, I talked about common misconceptions around the treatment of MTHFR mutations, and how stress and adrenal distress impact methylation. In this article, I want to talk about something else that can impair methylation, especially if you have an MTHFR genetic mutation: exposure to toxins and certain metals. Toxins and heavy metals “stress” our bodies, just as deadlines, high blood sugar, and lack of sleep do – and one of the ways they stress our bodies is by blocking methylation. Methylation is the process by which our bodies turn B-vitamins (folate or B9 and B12, in particular) into SAM (S-adenosylmethionine) and glutathione, two substances that are essential to our well-being. SAM and glutathione play a role in creating energy, protecting our cells, and maintaining our mood, focus, and daily functioning. They also help the liver to detoxify substances that enter our blood stream, including toxins, medications, and estrogens. If, like me, you have an MTHFR mutation – SNP (single nucleotide polymorphism) C677T or A1298C – your body will have a harder time making SAM and glutathione (unless you are already supporting your body with the right dose of B-vitamins). That means when your body experiences stress – including when it is exposed to toxins and/or heavy metals – and your body needs extra help getting rid of those substances, your liver is already struggling to keep up, leaving you vulnerable to the negative effects of these toxic substances. The toxins and heavy metals then bog down methylation even more, making things worse. Lead, mercury, cadmium, and other metals – as well as toxins such as glyphosate, parabens, and phthalates – slow down the enzymatic steps in the methylation pathway. So, even when you have plenty of B-vitamins, including methylfolate (the form of folate that is important for addressing MTHFR), metals and toxins bring things to a standstill. Another function of methylation is to protect our genes. Methylation creates substances in our body called “methyl groups” which help keep our DNA wound up in neat “bundles” (called histones) protected from the harmful effects of stress. However, when toxins and metals enter the body, they prevent methylation of our DNA, making our genes vulnerable to damage. A gene that was previously “turned off” could be “turned on”. In other words, a latent genetic predisposition can get “switched on” when exposed to toxins and metals. For example, your MTHFR gene SNP might not currently be causing you big problems, but exposure to toxins and metals might “flip the switch” to activate the potential problems the gene (and other genes) can cause. That could mean triggering a tendency toward autoimmunity, dementia, or cancer. This is referred to as “epigenetic modification” and means toxins and heavy metals can influence our genes beyond our inherent predispositions. What it is: Weed killer (also known as “Roundup” in the US); used on many crops including corn, soy, and wheat. Plants are genetically modified to withstand treatment with Roundup. What it is: A preservative, frequently used to prevent bacteria from growing in personal care products like toothpaste, shampoo, soaps, skin lotion, and lipstick. How it is damaging: As well as negatively impacting methylation, parabens mimic estrogen in the body (thus they are termed “endocrine disruptors”). Because parabens can bind to estrogen receptors, and because studies have found parabens in breast cancer tumors,6 researchers are examining whether parabens can increase the risk of breast cancer. Parabens can be stored in the body, so the amount in your body accumulates with time and use. Once in the body, they are hard to get rid of, especially if your liver is already overworked. What it is: A chemical found in many plastics (e.g. containers, shower curtains, dashboards, flooring, etc.). Regulations now limit the use of phthalates in children’s toys (since 2009). However, they are still used in personal care products (almost anything with a fragrance), medications8 (such as proton pump inhibitors), and even foods – to make them more “flexible.” For example, this 2017 New York Times article discusses phthalates in many brands of packaged mac and cheese. Phthalates are also in our water and in pesticides (at least in the United States; this may be the case in other countries, as well). How it is damaging: Phthalates are also endocrine disruptors, mimicking hormones in our bodies. Studies have linked phthalates to decreased male fertility, diabetes, breast cancer, autism, and asthma.7 It has also been shown that phthalates can “switch on” dormant genes, such as those which increase inflammation. Once inflammation flares up, this also slows down methylation. Click here to read more about inflammation. Where it is found: Some paints; dishes with lead paint in the glaze; air, water, and soil due to industrial processes/sites that release it (such as coal powerplants). Where it is found: Vaccines (has been phased out of most, remains in some, such as flu shots), mercury thermometers, amalgam dental fillings12, and large sea fish like tuna and swordfish (it gets stored in their bodies). Where it is found: Main exposure is from cigarette smoke, although it is also in some industrial fumes. It is possible to test for both toxins and metals in urine. Of particular interest is a new urine panel to check glyphosate levels. It is also possible to test for parabens, phthalates, and many other toxins, including benzene and perchlorates. Metal levels are often checked with a blood test. However, keep in mind such tests will only show RECENT exposure (the past three months). To determine your long-term exposure to harmful metals, you can do a random urine test, but even more accurate is a “provoked urine test.” With this test, a chelating agent is used to move stored metals from body tissue to your urine, enabling the detection of metals that may have been in your system for many years. Sauna therapy can be very effective at moving water-soluble toxins and metals out of your body through your sweat. Infrared and far infrared saunas, in particular, have been shown to decrease levels of glyphosate, parabens, phthalates, and metals. For the removal of heavy metals, it is important to work with an experienced practitioner with relevant training. It is important to follow a protocol that includes nutrient and antioxidant support for the liver to detoxify metals, and individualized dosing of a chelating agent based on your unique body weight, genetic profile, and sensitivities. You can also ingest certain substances that naturally chelate metals, which do not require such careful monitoring, such as cilantro (coriander), chlorella, and spirulina. In addition, cruciferous vegetables (broccoli, Brussels sprouts, arugula, and bok choy) contain substances that help your liver detoxify, as do the supplements* DIM and Calcium-d-glucarate. Fibers, including pectins, are also used to help move metals through the digestive tract and out in the stool. Click here to read more about the importance of fiber. Eat organic and choose non-GMO. Go to a holistic dentist if you need to have amalgam fillings replaced. I prepare my clients before/during/after getting fillings replaced. Decrease your intake of tuna to no more than once per month. Check your home environment for lead paint and dishes. Also check for plastic items produced prior to 2009. Switch to non-plastic containers (plastic water bottles are a big source of exposure not just to phthalates, but other harmful chemicals). Switch to paraben-free and fragrance-free personal care products. Click here to read more about the importance of making this switch. Use a reverse-osmosis water filter to filter out metals and toxins. I hope you found this article useful and informative. If you know anyone else who could benefit from this information, please feel free to share this article. To make sure you don’t miss out on future articles, please subscribe to this blog. To help you get started in understanding how stress – including toxins – could be affecting your health, I have developed a free online quiz, which can be accessed here. At the end of the quiz, enter your email address if you would like a free copy of my e-book A Guide to Adrenal Recovery, which is all about helping your body recover from stress and helping methylation work better. 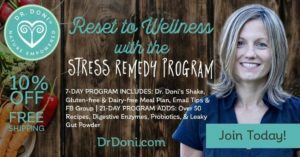 If you’re looking for even more information, in my book The Stress Remedy I have dedicated a full section to helping you eliminate toxins and heavy metals from your body and environment. In addition, in my Stress Remedy Program, I support you to implement the 7 tips mentioned above for avoiding these toxins in everyday life. These are great ways to get started in removing the stress that is slowing down your methylation and keeping you from achieving optimal health. And because fully addressing MTHFR mutations and methylation can be complicated, especially if you think you have been exposed to metals and/or toxins (we have all been exposed), I have created a consultation and testing package that includes one-to-one appointments with me, health panels to help identify what needs to be addressed in your body, and follow-up sessions so we can make an individualized plan for you. Find out more about the MTHFR and genetic solutions package here. If, instead, you are interested in working with me as part of a group program, with others who have a similar health goal, I have a new option for you! This is a live, 60-minute online seminar where we’ll cover the basics of MTHFR, giving you the knowledge you need to be your own advocate by understanding your body, your genes, and how to support them naturally. I hope you can join me! As ever, I would like to encourage you to keep learning and supporting your body and health – you’re worth it! Tarazona JV, Court-marques D, Tiramani M, et al. Glyphosate toxicity and carcinogenicity: a review of the scientific basis of the European Union assessment and its differences with IARC. Arch Toxicol. 2017;91(8):2723-2743. Vandenberg LN, Blumberg B, Antoniou MN, et al. Is it time to reassess current safety standards for glyphosate-based herbicides?. J Epidemiol Community Health. 2017;71(6):613-618. Faria MA. Glyphosate, Neurological diseases – and the scientific method. Surg Neurol Int. 2015;6:132. Cattani D, Oliveira Cavalli VL, Heinz Rieg CE, et al. Mechanisms underlying the neurotoxicity induced by glyphosate-based herbicide in immature rat hippocampus: involvement of glutamate excitotoxicity. Toxicology. 2014;320:34-45. Lillo MA, Nichols C, Perry C, et al. Methylparaben stimulates tumor initiating cells in ER+ breast cancer models. J Appl Toxicol. 2017;37(4):417-425. Wang IJ, Karmaus WJ, Chen SL, Holloway JW, Ewart S. Effects of phthalate exposure on asthma may be mediated through alterations in DNA methylation. Clin Epigenetics. 2015;7:27. Gallinger ZR, Nguyen GC. Presence of phthalates in gastrointestinal medications: is there a hidden danger?. World J Gastroenterol. 2013;19(41):7042-7. Bitto A, Pizzino G, Irrera N, Galfo F, Squadrito F. Epigenetic modifications due to heavy metals exposure in children living in polluted areas. Curr Genomics. 2014;15(6):464-8. Brodkin E, Copes R, Mattman A, Kennedy J, Kling R, Yassi A. Lead and mercury exposures: interpretation and action. CMAJ. 2007;176(1):59-63. Tucker PG. Cadmium Toxicity: What Diseases Are Associated with Chronic Exposure to Cadmium? Agency for Toxic Substances and Disease Registry. 2008. Mutter J. Is dental amalgam safe for humans? The opinion of the scientific committee of the European Commission. J Occup Med Toxicol. 2011;6(1):2.